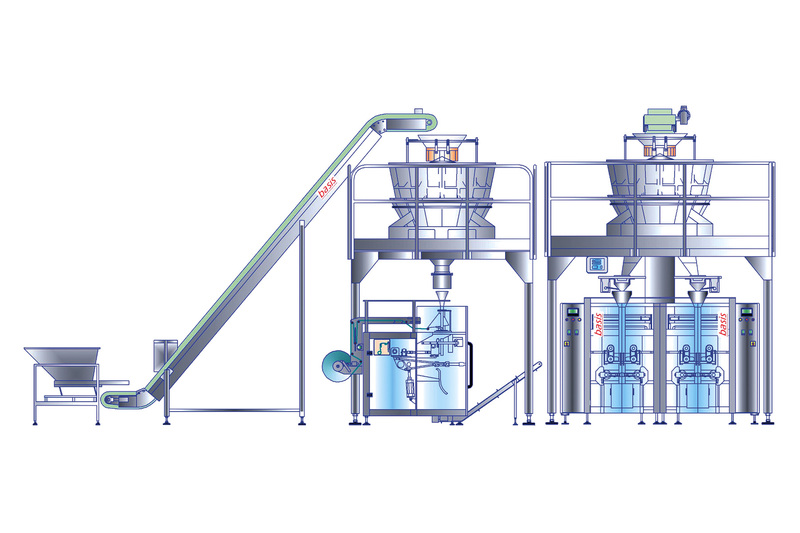 Basis4 is our most optimal model for packaging in bags like “Pillow” and "Gasset" type at speeds of up to 60 packs / min. The machine can be equipped with any type of dispensers and at the request of the client and equipped with a mass of additional options, taking into account the characteristics of the packaging and product. control through the touch panel, which integrates the parameters for controlling the speed and temperature of welding, control options, synchronization with the dispenser (weigher), etc. Knots manufacturing seam package with a system of re-closing "SealStrip"